“Gold medals aren´t really made of gold. They are made of sweat, determination & hard-to-find alloy called guts”, opined Dan Gable. 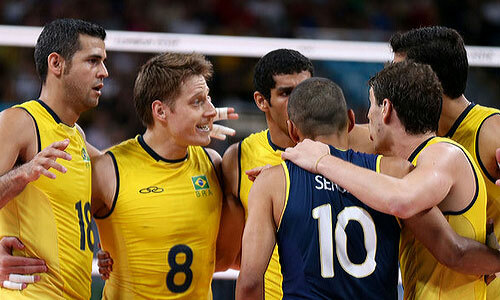 The five set come from behind victory of the Russians over the Brazilians in the finals of the 2012 London Olympic Games Men’s Competition belies my expectation. In fact with the South American’s leading 23-19 in the third set, I had switched off the Television set hoping Brazil would romp to victory 3-0. To my utter disbelief the mighty Russians beat Brazil in a cracker of a contest to take home the Gold medal. Vladimir Alekno’s strategy of playing Dmitri Muserskiy as opposite in place of the hugely successful No.17 Mikhaylov was probably the master stroke. He had a massive 31 point Gold medal game. Earlier in the semi-final the Russians beat the temperamental Bulgarians 3-1. After the first two sets setter Granikin made way for the seasoned Butko and Captain Khtey was replaced by Ilinykh. Credit to the Coach for his judicious substitutions. 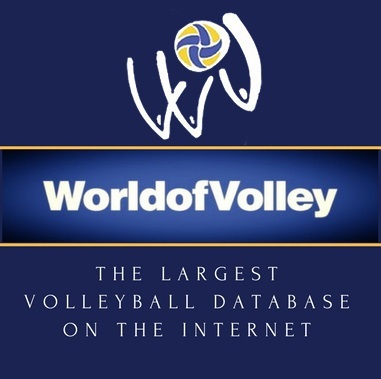 I have had the opportunity of watching in action both setter Segey Granikin and middle blocker Alexander Volkov at the Junior World Cup held at Vishakapatnam, India in the year 2005 which they won belting Brazil 3-0. In the final at Vishakhapatnam with the score reading 23-19 in the first set, setter Granikin with his booming jump serves made it 25-23 on the trot and there was no looking back. Credit to the Russians for having not lost hope till the last point. It had something to do with their self-belief. Hard luck to the legendary Giba the pipe attack exponent for having missed out on a Gold medal which was almost sitting pretty on his neck. It would have been a fairy tale ending for Giba and Brazil for he had decided to hang his boots. The Brazilian women made up for the loss of the Gold medal by the men as they beat the favourite’s USA 3-1, having lost to them in the group stage by an identical margin. Credit to Sheilla Cresto who was the MVP at the London Games and she was voted the outstanding Brazilian Athlete at the London 2012 Games by the Brazilian Olympic Committee. In the quarter-finals they came back from the brink to beat Russia 3-2. Credit to Ze Roberto for having motivated his players especially the finals against the Americans who had a brilliant run coming into the Olympics as well as at the Earls Court too. All in all, it was a mixed bag for the Brazilians at the London Games winning the Silver & Gold at Earls Court, Silver & Bronze at the most popular venue i.e. Horse Guard Parade (Beach Volleyball). It is pertinent to mention the German Gold medal winning duo’s performance against the seasoned Brazilians in the men’s finals of the Beach Volleyball competition .Kudos to Brink & Reckermann. Back to back Gold medals for the American’s Misty May & Kerri Walsh will go down in history as the GREATEST achievement. Great teams are those that grab the slightest chance and convert it to their advantage. I take this opportunity to congratulate Dr. Ary Graca of Brazil on his election as President of FIVB and sincerely hope volleyball will reach the peak of world sport.